Safety v convenience. What do you think? The new cycleways on Hills Road are frequently blocked by coaches, delivery vehicles, and even council contractors working on the cycleway. While the vehicles are usually not there for long, accidents also happen in a flash. The County Council is proposing to introduce a loading ban, which would prohibit any parking, even for loading and offloading, at peak times – 7-10 am and 4-7 pm. There would be waivers for removal vans, wedding and funeral vehicles, but not for other vehicles such as supermarket delivery vans. The County Council has advertised the Traffic Regulation Order in the Cambridge News and with notices in the street attached to lampposts. The deadline for objections has been extended to 19th April. Send any objections, giving your reasons, to the County Council using the details in the pdf. It is great to have your questions and comments here, but please respond to the TRO to make them count. Cambridgeshire Lib Dem councillors are relieved that the County Council (Highways and Community Infrastructure Committee has had a change of heart on the axing of the mobile library service and cuts to highways maintenance (eg potholes) and will no longer recommend these cuts to the Council’s General Purposes Committee. We were appalled that the Council was even considering ending the mobile library service. Sometimes the mobile library is the only contact people in rural areas have with the councils. Time and time again when I spent a day on the van, borrowers described it as ‘a lifeline’. Potholes and cracked pavements are amongst the most frequent complaints that councillors receive. They make life so difficult for people tryjng to get about, whether by car, on foot or on a bike. Poor surfaces are particularly dangerous for older people, sometimes resulting in broken bones and hospitalisation. Cutting this budget would have been not only a false economy but a slap in the face for the people of Cambridgeshire, so I’m pleased that the committee saw sense and decided to maintain funding for this core service. cutting grants to agencies such as the Citizens Advice Bureau — when the need for help with money and benefits grows ever more acute. We were sorry that Labour councillors sat on their hands for the votes on the streetlighting switch-off, mobile libraries and the CAB grant. What was the point of their being at the meeting if they do not vote? These cuts will be included in the budget recommendations to the Council’s General Purposes Committee, which meets later this month. You can help defend these services by writing to your county councillor. 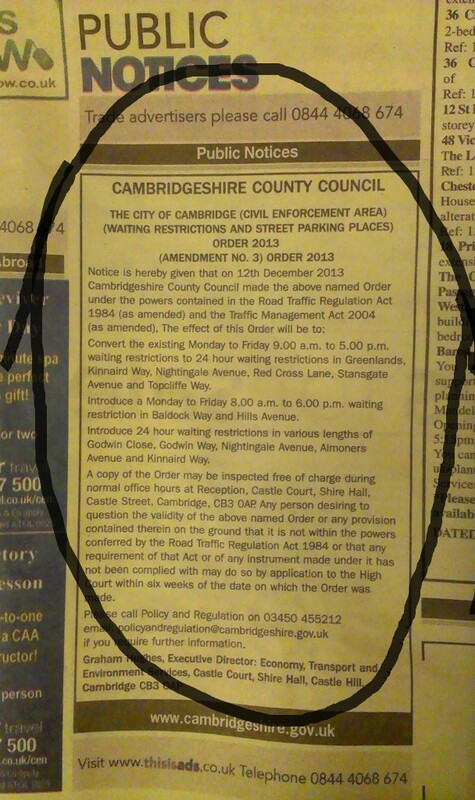 Q: Why is Cambridgeshire County Council doing this? A: The County wishes to enhance cycleways in order to meet the needs of the rapidly growing population, which will result in more traffic. The County would like to keep the extra motorised traffic to a minimum and encourage other modes of transport. Similar schemes have substantially increased cycling in other areas, particularly amongst children. Q: How is it being funded? A: Through central government’s Cycle City Ambition Fund. A: County Council Highways officers identified Hills and Huntingdon Roads as main routes into Cambridge that would benefit from enhancement. The scheme was first presented to Cambridgeshire County Council’s Economy and Environment Committee in May 2014. Councillors deferred it as they were unhappy with elements of the scheme including the floating bus stops, and changes were made. It was passed in July 2014 at the second time of asking, with an undertaking to conduct traffic surveys before and after implementation, an amendment I requested, in order to assess the level of rat-running as a result of the narrower road carriageway. One survey was done last year and another will be done after completion. Q: Will any trees be felled? A: The County Council has stated categorically that no trees will be felled. Some pruning of vegetation that encroaches onto the public highway may be necessary. Q: Will new rubbish bins be provided at bus stops? A: Providing litter bins is a City Council responsibility. The County Project Team is discussing with City Council about replacement of old bins with new ones and other locations where a new bin may be desirable. Q: How will works across junction mouths be organised? A: Junctions are being closed off at weekends to allow works to be safely and quickly undertaken. Letterdrops to residents and advanced warning notices inform those affected at least one week in advance. Q: How will work on junction mouths of cul de sacs be organised? A: Junction works to be constructed one half at a time with access maintained into/out of the cul de sac. Q: Could the concrete layby near Glebe Road be used as a bus stop? A: This layby is halfway between two other bus stops so if a bus stop went there, the other two stops would be removed, meaning bus users would have a long walk to the next stop. Q: What consultation took place before this scheme was agreed? 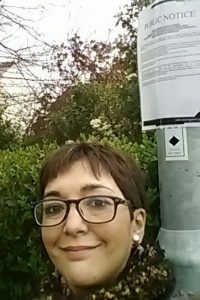 A: The proposals were advertised in FOCUS, as well as via a streetletter from myself to all residents in Hills Road and several of the side roads. The County Council delivered leaflets with feedback forms to a wide local area and held local staffed events in March 2014. Drawings and information on the proposed scheme were put on the County Council website, together with contact details. The Team also had information stalls at Hills Road VI Form College, Long Road VI Form College and at an Addenbrooke’s Sustainability Event. In November 2014 the County Cycling Team wrote again to residents inviting them to a pre-construction event at Rock Road Library — an opportunity to find out about boundary issues, construction sequence etc. This event was well attended by residents of Hills Road. The letter included details of where the final drawings could be seen on the website and asked residents to provide email addresses if they wanted updates on the scheme. Q: What will happen when there are weddings and funerals at the church? What about hearses and wedding cars? A: The Cycling Team has been liaising with St John’s Church. During construction, the cycleway works will be left in an appropriate state to accommodate wedding cars and hearses. After completion, wedding cars and hearses will be able to park for the duration of services, as the new cycle lanes are not ‘mandatory’ and there are no loading restrictions attached to the double yellow lines. Q: Is the width of the carriageway being reduced? A: Yes, the carriageway width is being reduced, to 6m. Q: Will there be a loss of grass verges? A: The roadside verges next to the road will go, but there is a half metre sedum strip between the cycleway and the footway on both sides of the road. On the outbound side of Hills Road, the verges next to the houses will be largely the same except where space is needed for the floating bus stops. On the citybound side (the side with the current shared-use cycle/footway) the verges next to the houses are increasing. On the west side of Hills Road (S to N), from No. 284 to 256, and from 248 to 228, a 800 or 900mm wide strip of footway will be turned into new verge. From No. 226 to Homerton College this strip widens to between 1.4 and 1.6m and then it is about 2.5m wide running past Homerton College. On the east side (S to N), there are no significant areas of new verge until you get to the block north of Glebe Road, No.s 253 to 247 have 1.2m wide new verges. Re. the loss of those verges on the residence side of the footway, the only real areas where there is loss of verge is near the floating bus stops (and to some extent near crossings) but this does vary depending on the location. Q: Was Cambridge City Council consulted? A: The City Council is a statutory consultee for every cycling project within Cambridge. The Project Team was keen to gain the input of City’s Urban Design team on the Huntingdon Road and Hills Road schemes – a meeting with the City’s Head of Urban Design was arranged before the schemes were approved and, in neither case were concerns raised about the proposals. Q: Are our streetlights being replaced to facilitate the cycleway scheme? 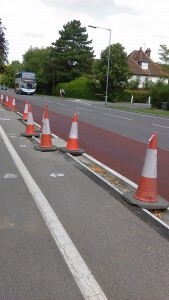 A: No, the streetlighting on Hills Road is not being replaced as a result of the cycleway scheme but as part of the County’s streetlighting replacement programme – as such, the lighting along the whole length of Hills Road is being updated to conform with new British standards. Q: At present, the pavement cycleway on the northbound side of Hills Road provides a convenient way of turning into Luard Road. Won’t the new arrangement be more dangerous? A: The main carriageway on Hills Road will be narrowed to 6m, which should reduce traffic speeds. Equally, the speeds of vehicles exiting side roads should be slowed by the tighter turning movements required by the new scheme. The Road Safety Audit 2 did not raise any issues about the changes to this junction, nor the removal of the shared-use foot/cycleway. The new scheme (unlike the shared-use foot/cycleway) gives cyclists on Hills Road priority through the junction with Luard Road so there should be a reduction in the number of cycle-related accidents at this location. Less confident cyclists on Hills Road may choose to pull in and wait on the left side of the new southbound 2.3m cycle lane before turning right. 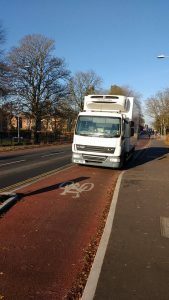 The County Council will monitor the situation and may consider installing a central island that would offer cyclists some protection whilst waiting to turn right. 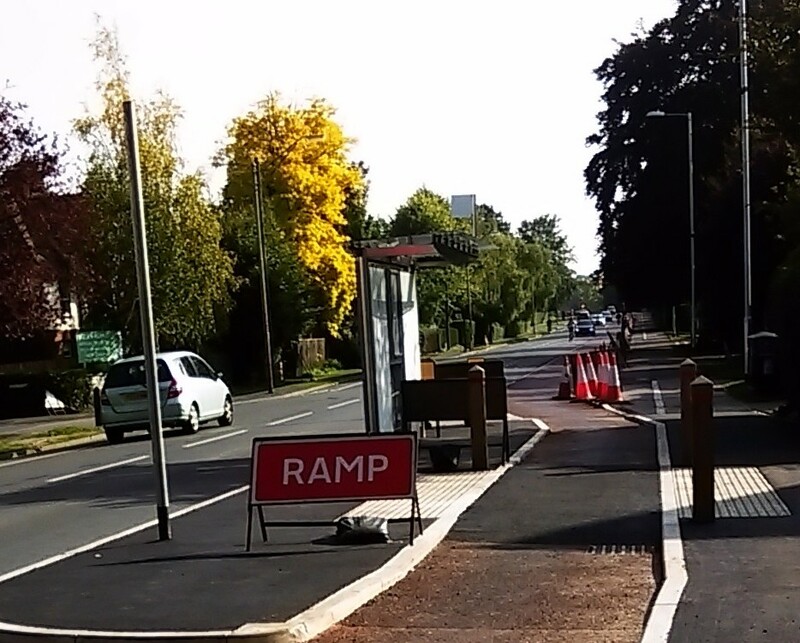 Q: How will it be made clear that vehicles cannot drive across or park on the cycleway? A: Cycle symbols will be added to the cycle lane and double yellow lines will be painted on the main carriageway (next to the outside edge of the cycle lane) to prevent parking in the new lane. This work should be taking place on the northbound side in November 2015. Q: How will the construction for the southbound side of Hills Road be handled? A: The intention is to keep the citybound shared-use path open whilst the outbound works are carried out – to ensure safety for cyclists and pedestrians during the construction phase. The footpath work will be done first, then the cycleway and ‘Cambridge kerb’. MONDAY 5TH OCTOBER: REPORT ON THE PRESENTATION ON CYCLING SCHEMES AT SOUTH AREA MEETING, ST JOHN’S CHURCH, HILLS ROAD. Many of us do our shopping at Budgens at Adkin’s Corner, just outside the Queen Edith’s ward. While the supermarket itself is modern and pleasant to shop in, its car park is full of monster potholes and hard to traverse. When it rained, the potholes fill up and the area resembles Venice gone grey. As the Labour councillors representing this area seem to have taken no action, Lib Dem councillors took on the challenge of getting the forecourt sorted. The County Council has acknowledged responsibility for it and repairs are on order. The Tory Cabinet at Cambridgeshire County Council is to vote on parking charges for the Cambridge Park and Ride sites on Tuesday. The rot set in last September, when the Tories proposed a £1 charge, but the vote on Tuesday will be on a schedule of parking charges, which starts at a £1 but goes up to an eye-watering £30 for a longer stay. There have been nearly 200 objections, focussing on shifting the parking elsewhere and the threat to the Cambridge evening economy. 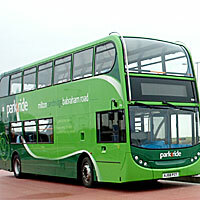 Park & Ride was introduced to keep cars out of Cambridge city centre and the charging for parking, on top of the bus fare, is a regressive move. While the P&R sites need to make more money, we in my party do not believe this is a wise way of raising it, and would prefer the Council to look at other ways of raising revenue, eg retail or catering at the sites, or raising the bus operator’s departure charge. The £10 charge will be a lot to pay for low paid shop workers if they work long shifts, and jeopardises the evening economy, as it will be costly to do any shopping or socialising in the city after a day’s work. It will have an additional sting at the Babraham Road Park & Ride site, which is closest to Addenbrooke’s Hospital in my ward: it could well catch people who have to stay at the hospital longer than they expect to, for medical reasons, even the newly bereaved. There is an amendment to the original charging schedule to make this 18 hours instead of 12. I hope this is accepted. I have been informed that the area between Junctions 11 and 14 of the M11 will be closed between the 16th September and 1st October. This is to enable repairs to the road surface and renewal of road markings. The work will be done at night, starting at 8.00pm on Monday 16th September and finishing on the 1st October. and here is their letter with full details: M11 Road Repairs letter. 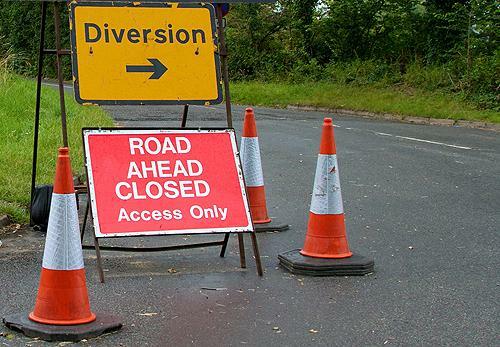 Next Monday, September 2, the Highways Agency will be carrying out overnight repairs to the A11 Trunk Road between Junction 36 of the A14 and Fulbourn and the road will be closed on one side. The works will involve patching to worn out sections of the carriageway and refreshing road markings. The works are scheduled to start on the evening of Monday 2 September. The working hours will be between 8.00pm and 6.00am, Monday – Friday nights. 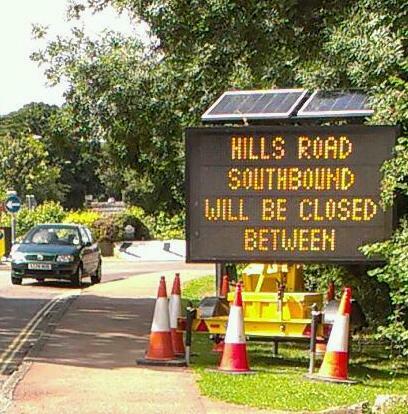 The southbound carriageway will be closed between 2 September and 4 September inclusive and the northbound carriageway will be closed between 9 September and 12 September inclusive. A signed diversion route will be in place for traffic wishing to travel on the A11. Through traffic wishing to travel southbound on the A11 will be diverted to carry on the A14 westbound to join the M11 southbound at Junction 31 (Girton Interchange). Traffic wishing to return to the A11 will need to continue to junction 10 (Duxford) on to the A505 eastbound to re-join the A11 northbound. Through traffic wishing to travel northbound on the A11 will be diverted to carry on the M11 northbound to join the A14 eastbound at Junction 31 (Girton) and continue on the A14. Traffic wishing to return to the A11 will need to continue to junction 37 to return on the A14 westbound to rejoin the A11 southbound. There will be signed diversions signed for local traffic. Access will be maintained at all times for Emergency Services. The contractors, Carillon, will do their best to do the work as quickly as possible, but allow extra time for your journey of ir possible, go a different way. Any queries, contact CarillionWSP on 01767 684633 between 9am and 4.30pm or their Customer Care department at [email protected], or the Highways Agency Information Line on 0300 123 5000. 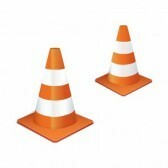 Hills Road is to be resurfaced this month, all the way between Cherry Hinton Road and Fendon Road. This is the result of a campaign by former county councillor Geoff Heathcock – a great result to conclude his time in office! It is badly needed, as anyone who drives or cycles along Hills Road knows only too well. The Council is carrying out the work in August, when Hills Road is quieter, or at least less busy than at other times of the year. Works are scheduled to commence approximately 12th August and finish around the 30th. During this time there will be a one-way system allowing traffic to travel down Hills Road into the City from the Addenbrooke’s direction. All southbound traffic will be diverted along Cherry Hinton Road, Mowbray Road and Fendon Road. The bus stops on Hills Road will not be served during 6a.m. and 3.30p.m. and and passengers will need to use the Addenbrooke’s bus interchange or stops on Queen Edith’s Way and Cherry Hinton Road. Please see Stagecoach’s website for full details. Some cycle lanes are closed, though we assume the on-pavement ones will be as normal. Please check for updates, as we know from experience that County Council plans can change!